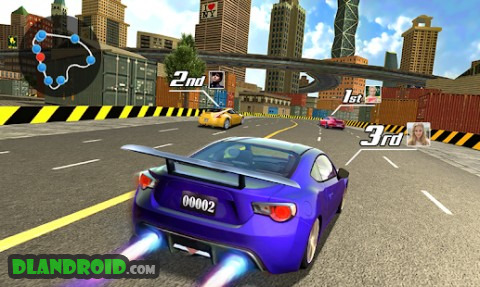 Street Racing 3D is a Racing android game made by Ivy that you can install on your android devices an enjoy ! Real racing, drift in the asphalt, only for speed. Bring fast speed driving experience, be the king of street racing. Improve your driving skills in racing car mode, and take part in competition with your friends, and become the bet among street racers.____________________________________________________________________________Start driving in unique car or never seen before on the asphalt roads. More extremely fast and beautiful cars on asphalt tracks. start your racer, big surprise for nice cars and the test drive! Easy controls and great car selection. 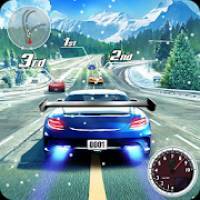 Upgrade turbo engine, find the tune for your car, colorful paints and cool stickers.Race in different modes of street scene. 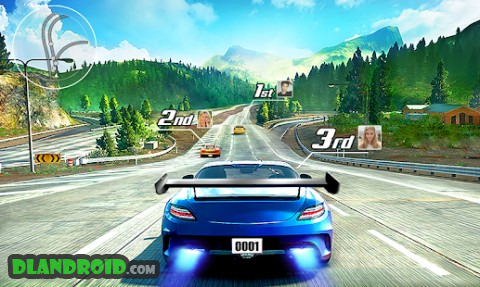 Show your rivals that you are the best in real competition with amazing speed. Take unbelievable turns, achieve highest possible velocity racers. to be the stronger, driving skill need to exercise in the different mode competition, so start racing in arcade style, perform amazing stunts. Unique mix of arcade action and simulation way of driving. Start driving and earning rewards, collect coins and diamonds on the street asphalt. Drag your careen into high stake racing.